Ozone is a natural molecule – oxygen as you know it, with an additional atom. It’s an unstable molecule and wants to kick off the extra oxygen atom. That characteristic makes ozone a powerful oxygenating agent. Our own bodies produce ozone at the white-cell level to kill offending microorganisms. Ozone has long been used in commercial settings for its disinfecting properties; ozone is commonly used to sterilize the fruits and vegetables we eat and the bottled water and sodas we drink. Ozone gas disrupts cell membranes of viruses, bacteria, fungi, and parasites, destroying them quickly. Healthy cells in the human body, however, have a different type of cell wall, which protects them from contact with ozone. Ozone therapy increases delivery of oxygen to vital tissues and stimulates the immune system, boosting wound healing. Europe has been using ozone for decades to speed up wound-healing and to treat a variety of diseases. Most of the original ozone research was carried out in the U.S. and Europe in the early 1900s. American medicine is finally recognizing the infection-fighting and healing benefits of ozone! Preventive dentistry – Drs. Glickman and Findlay use ozone to harden tooth structure and reduce sensitivity in teeth that are weak or worn. Restorative dentistry – Once a decayed tooth is prepped for a filling, ozone gas kills bacteria in even the tiniest crevices. It also encourages re-calcification, strengthening tooth structure. 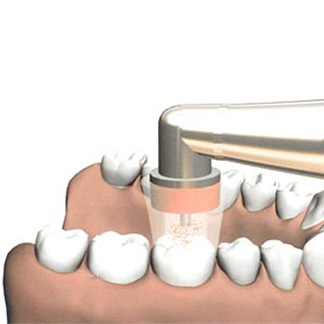 Periodontal maintenance – Bacteria are chiefly responsible for the destruction of gum disease. Ozone kills these pathogenic bacteria on contact and promotes wound healing. Treatment is gentle and painless. Cold sores and canker sores– Ozone gas disinfects the surfaces of these lesions, kills the viruses and bacteria and encourages the speedy healing of these tissues. We’d love to tell you more about the health benefits of ozone therapy. Call our Duvall office at (425) 788-1551 to schedule an appointment today.